Plenty of DJs claim to be a resident DJ in Ibiza every season. But in reality there are few who truly are. One of them is Lorenzo al Dino. And this for more than 29 years. Nevertheless, grandezza is pretty much the last term that Lorenzo al Dino needs to be bothered about. The annual Balearic party season comes and goes, but Lorenzo al Dino remains - with unbroken success. As resident DJ he already has sonicated hundred thousands of guests on the dancefloor from all over the world waiting to be taken to even higher states of consciousness in music deversity. This fans are the basis of his reputation and at the same time an ideal test audience for the value of his new tracks. Lorenzo al Dino's convincing manual: entertaining music with testimony. Elaborated to the last note and regardless of the current market situation. Maximum range of quality concerning the vocals, musician and sound tools. Songs touching heart and soul, telling stories that you have experienced or could experience. Where other representatives of this genre lack the courage or the will to dig deeper, Lorenzo al Dino continues to rotate at the controls, to shift sound levels in terms of always finding a new approach to the spirit of dancemusic. He is far ahead and not just somewhere in the house section. Although he describes his album scepticaly as a project on the edge of a “commercial loss”, and adds at the same time," If I only sell 100 albums, I'll make at least 100 people happy with my kind of music. " But the previous course shows in a different direction - a more successful one. The lyrics arose solely on Ibiza. An island whose magic hardly anyone can escape. Sun, heat, environment and especially the smell stun the senses of the party lovers staying at this place and enjoying life. In the process, the appropriate selection of fine dancetunes was recorded and produced in Ibiza, Berlin and Vienna. On the list of stunning vocalists you find illustrious names like Austin Howard, Iain Wade, Cope, Baghira, Ola Egbowon and Siri Svegler. 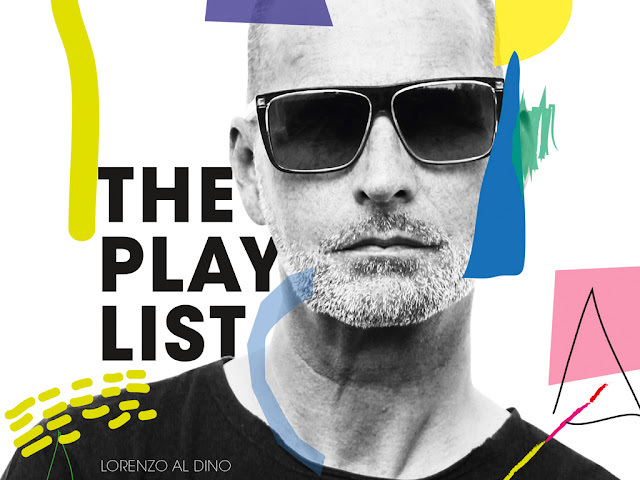 With "The Playlist" Lorenzo al Dino provides a stylish and timeless deep house trip with true house tracks for every hour and every minute of the day. A diverce playlist as the title of this album indicates. At least until the next season starts in Ibiza. A cosmopolit in terms of dance music mixed up with the Balearic coolness in combination with deep groovy disco house vibes – that’s just the relaxed and fresh cocktail his long awaited 5th Album entitled "The Playlist" offers. This release is another massive milestone in his career as a producer. "Every song on this CD has the potential of a single release," he makes clear, putting his own claim very high. But this is part of his DNA. As a matter of fact, all 10 tracks from this album have been or are still going to be released as singles with own remixes. The first three singles from "The Playlist" prove him right: "Hypnotized" reached the charts Top10 DCC (9) & DDC (17th), King of Spins, United States (1), the follow-up-banger "Good Times" put by: Top10 DCC (8) and "The Sound of Silence" was not less popular: King of Spins, USA (1) DDC (12) 44House Charts (15) Dance50 WDC (9) plate Junkie Charts (2) Spotify Germany (1) Radio Star Power (1) SDC (Bullet), IDJC (Bullet). "On the Beach" is in no way inferior to its predecessors and "Just Love" and "Running in Circles" are rotating now on high level in the busy clubs.